I certainly hope that the Water Co will fix the area tore up with huge craters and holes. Oh well,,, Mayflies are just part of the changing season. Out New Boro Manager seems to be on top. 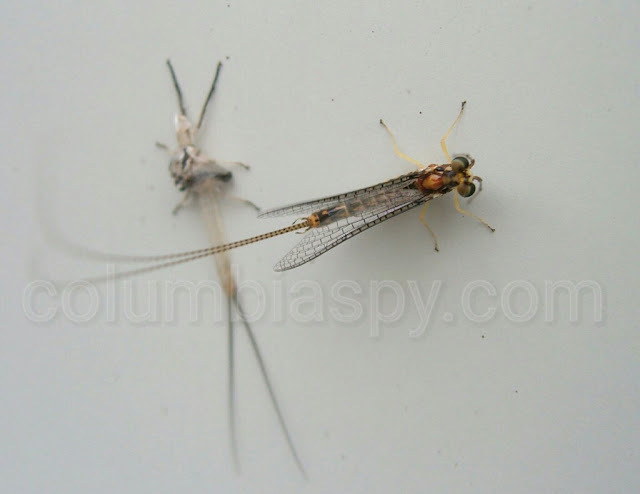 Whatever happened to Columbia's Mayfly Festival? It was a fantasy to think a new festival could be planned and set up in under a year. And a new festival is superfluous since this town already has a couple festivals that are a joke with low attendance and few stand holders. speaking of may flies...is anyone spraying for mosquitoes and trying to rid the boro of all these diseases...zika???? etc. Are you doing your own job?? Anonymous? Ask FMB, he has an answer for everything. I love the festivals in Columbia!!! Holy Trinity Catholic Church is having theirs this week. Start an annual Mayfly Festival , embrace them ! Mayfly Pie , Mayfly Brew , Mayfly Dances in the Park, etc. !